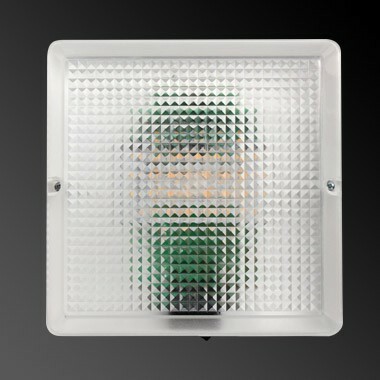 Our 21 LED Square Light provides a great light in caravans, motorhomes and boats. The LED circuitry is voltage regulated from 10-30V so operates on either 12V or 24V systems and includes a voltage suppressor and fuse in the control circuitry to ensure a long lasting light. A rocker switch is located on the side of the unit. We have been using this unit for our 12V 2D light fittings for over 25 years and have just recently altered the circuitry to make this an LED fitting. We also make these with either a 16W GE 2D tube or a 10W 2D tube, using the Duralamp tube. 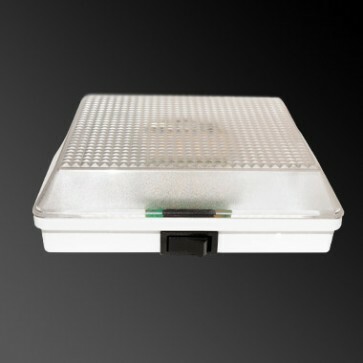 When ordering fluorescent it is important to ensure the correct voltage is selected, however as the LED circuitry is regulated from 10-30V DC, a single unit can be used on either 12V or 24V circuits.